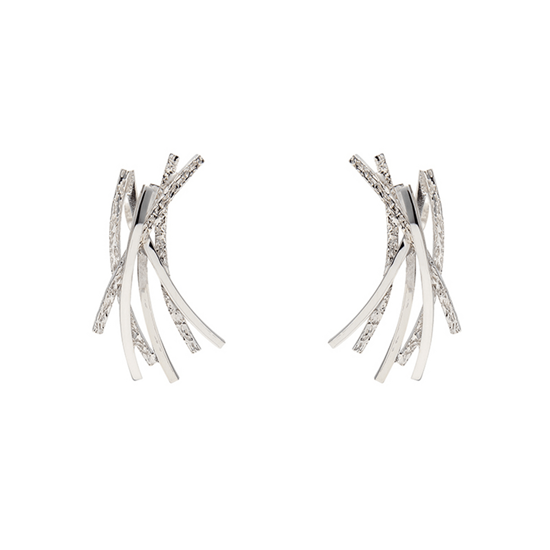 Simple and modern, these sterling silver curved stud earrings add an edgy vibe to any outfit. In solid sterling silver, the earrings offer a captivating curved design with a beautiful hammered texture. Complete the look with the matching Curved Line Necklace and Pendant.